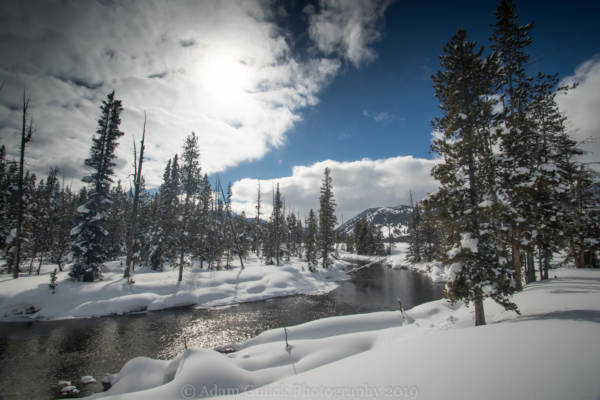 Some of you may have read my Blog published in January, where I took the reader on a journey through the Park Creek Ski Trails. 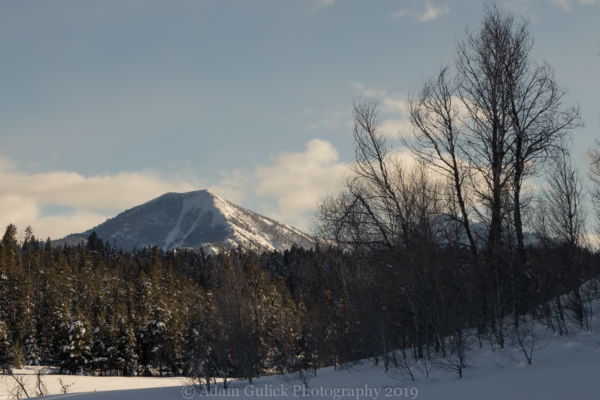 Miles of groomed trail winding through the meadows and forest at the feet of the McGowan Peak and Mystery Mountain, but the winter adventure doesn’t end there! 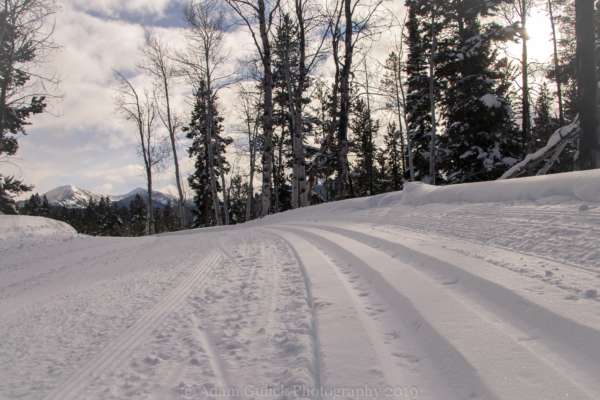 24 miles south of Stanley, another fun-filled winter wonderland awaits your visit, the Alturas Lake Ski Trails. 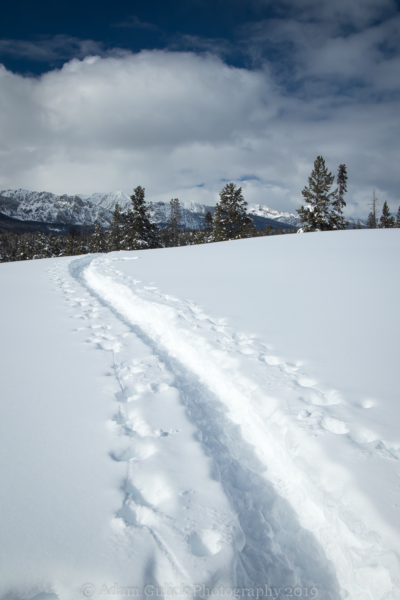 Administered through a partnership of the Sawtooth Ski Club, the Forest service and Blaine County, nestled in the lower drainage of Alturas Lake, these trails should be on everyone’s list this winter. Access to the trails is provided via a highway pullout ¼ mile North of the forest road #205 to Alturas Lake. 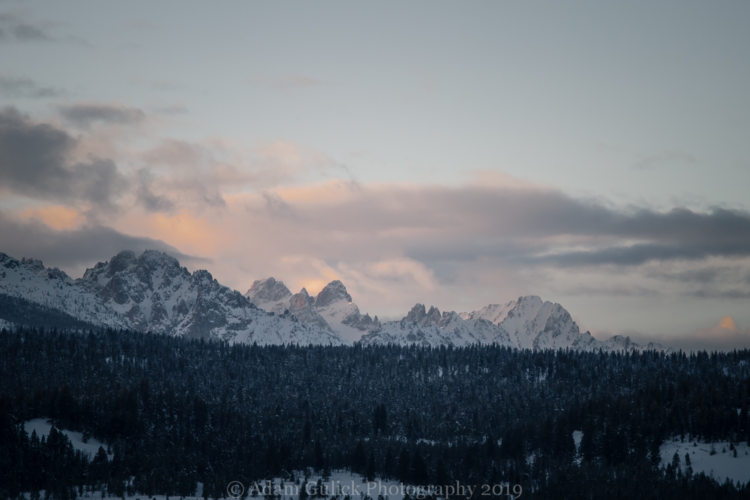 Located in the heart of the Sawtooth National Recreation Area, it should come as no surprise, that this gem is adorned with breathtaking beauty and inspiring scenery. From the trailhead, the view stretches North toward the pinnacle of the Sawtooths, the Thompson peak Complex. Horton Peak, sitting at the front of the White Cloud Mountains, dominates the view east. Further South, the mountains above the headwaters of the Salmon River join the Sawtooths and The Boulder Mountains over Galena Pass. The jagged spires of Goat Rocks jut up above the pine forest. Abe’s chair sits like a king’s throne in the southwest. The trails, through a series of loops, dive deeper into the drainage of Alturas Lake and Cabin Creek. Out of the trailhead, the groomed path immediately splits in three directions, where the South loop trail begins and an alternate trail cuts through the middle. Head right to access “Over the Hill” and “Sheep Thrills”, both moderately difficult ruckus romps through the pines and wintering aspens. Head Left and wrap around the open meadows connecting with the Wapiti trail. Stay straight and hump over to a hidden meadow tucked between two stands of timber beneath the watch of Abe’s chair. The trail comes to a four-way intersection at the west end of the meadow where it connects back into “Wapiti” and “Over the Hill” trails. 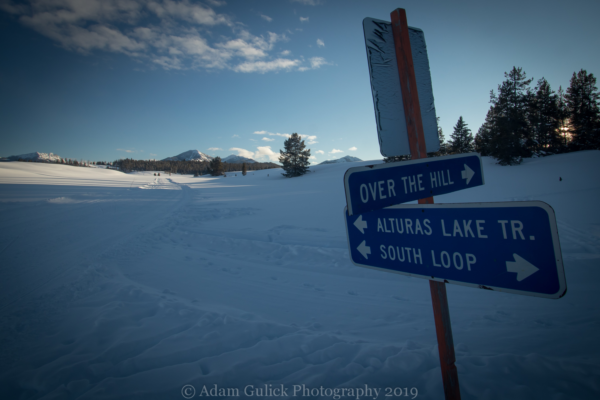 Stay straight, over the hill and through the woods to Alturas Lake Creek you go, eventually connecting with the route to the backside of the ski area. To access the backside, cross the narrow bridge over the frozen Alturas Lake Creek. The bridge is too narrow for the groomer’s equipment, so extra implements wait on the other side. In this deep, a sense of remoteness sets in. There are two trail options at this point. North Cabin Creek climbs along the ridgeline to the north, dancing through forest occasionally offering views of the surrounding mountains. This is my favorite trail in the Park. Connecting with North Cabin Creek is a long one-way trail meandering through the meadows and dispersed timber for around 4 miles to the still, frozen Alturas Lake. Midway the trail parallels a bend in Alturas Lake Creek where the swifter water flows free of ice. McDonald Peak looms over the cold landscape as the trail moves deeper into the mountains. 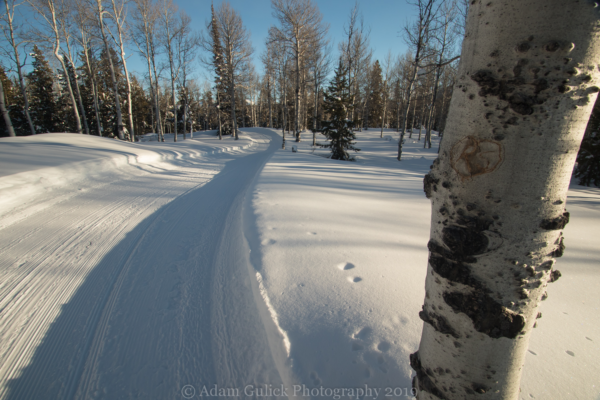 Coyote, fox, ermine, hares, and creatures of the winter lay their tracks across corduroy groom. The trail comes to an end at a roundabout on the east shore of the lake. The Sawtooth Wilderness lays beyond the Lake. As I write this blog, the snowflakes have once again begun to fly in Stanley. It’s predicted that several feet of snow are to fall upon the central Idaho mountains over the next few days. Groomers will be working diligently to keep trails open. No matter what the groundhogs say, it appears winter is here to stay a bit longer. There is still plenty of time to get out and enjoy all the joys winter has to offer.